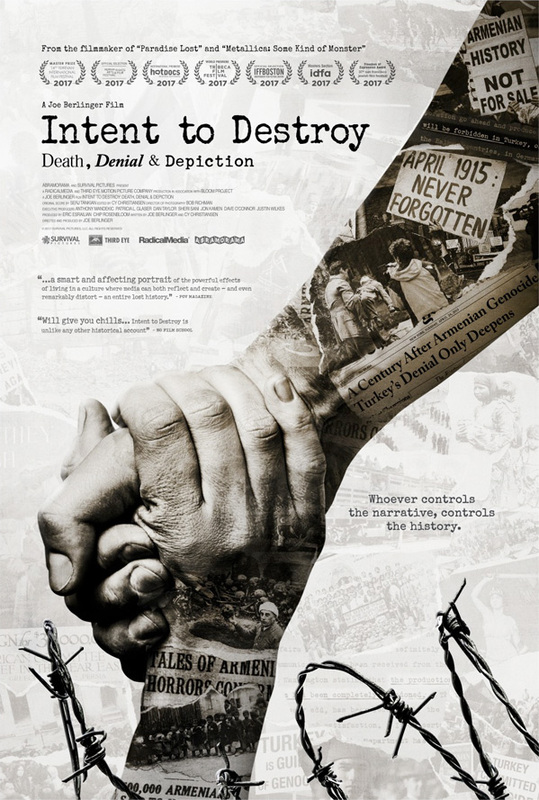 "It's an experience I wouldn't wish even on my worst enemies…" Abramorama has premiered the official trailer for a documentary titled Intent to Destroy, an examination of the Armenian Genocide and the history of denial by the Turkish government. This seems like one of the most definitive docs examining this historically tragic event, telling not only the history behind it and how it happened, but the ways various governments attempted to cover up and downplay the depressing truth of it all. The doc even examines how this "laid the groundwork for the genocides that followed." Filmmaker Joe Berlinger also visits the set of Terry George's The Promise, a feature film starring Oscar Isaac and Christian Bale set during the Armenian Genocide, discussing how hard it is to make a film about this. This looks powerful, and sad, but important. Academy Award nominated director Joe Berlinger embeds with a historic feature film production on the set of Terry George’s The Promise, to take an unwavering look at the Armenian Genocide. Historians, scholars, and high-profile filmmakers come together in Berlinger's cinematic exploration of the tangled web of responsibility that has driven a century of denial by the Turkish government and its strategic allies. Intent to Destroy is a timely reckoning with the large-scale suppression of a historical tragedy. Berlinger confronts the fraught task of shedding light on the Armenian Genocide — whose witnesses and descendants are still fighting to be officially acknowledged as such by the international community — how it was carried out during World War I as the reign of the Ottoman empire drew to a close, and how it laid the groundwork for the genocides that followed. Intent to Destroy is directed by award-winning American filmmaker Joe Berlinger, of Brother's Keeper, Tony Robbins: I Am Not Your Guru, plus "Oprah's Master Class" and lots of other TV + doc work. This first premiered at the Tribeca Film Festival. Abramorama will release Intent to Destroy in select theaters starting November 10th this fall. Who wants to see this doc?